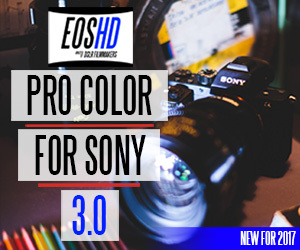 I am pleased to announce that a year after the original, there is a major update to EOSHD Pro Color for Sony cameras. 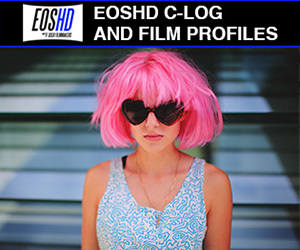 In addition to the new Pro Color, I am launching EOSHD Pro LOG as well. 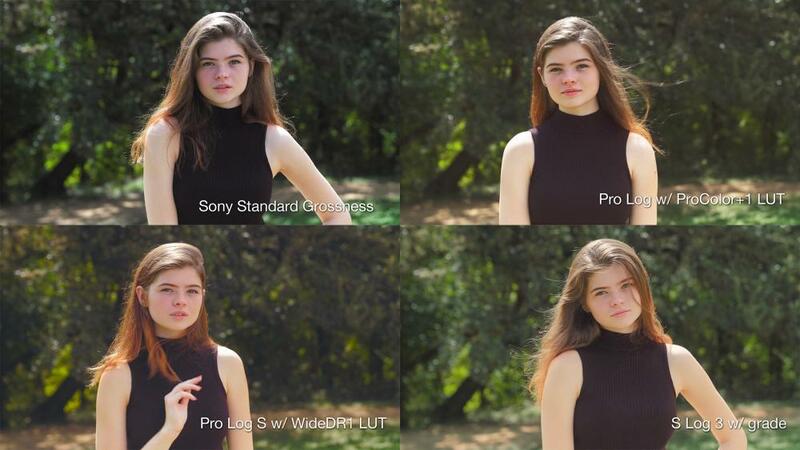 This takes all the advantages of Pro Color into an easy to grade C-LOG-like profile for your Sony camera. 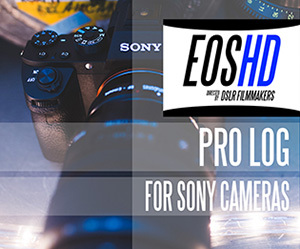 Pro LOG also comes with 25 EOSHD Film LUTs for an instant cinematic grade in post. 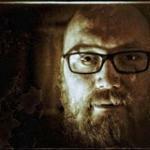 @Andrew Reid Is there any way you could show us an example of Pro Color 2 vs 3? Especially on skin tones? I'm super interested,but not being able to see direct comparisons I'm not sure what the difference is (besides the benefits like using any WB or the recovery LUT, Etc). 2nd question: On the page you list the A7S as being both compatible and incompatible. Can you clear this up, please? I would love to see some tests with the FS5! The FS5 has a great sensor and combined with this great profile I'm sure it's amazing. That's a good suggestion sir! XR is generally more punchy, more contrast, whereas the original tended towards 'safer'. Oops balls'd that up didn't I?! Yes it IS compatible with the old a7s. The cameras that don't work are the basic or old ones, that lack the advanced picture profiles. I'll let an FS5 user take up the baton on that one... Would love to see your footage! Looking forward to seeing the footage. If anyone else would like to post theirs as well, would be great. I'll select the best, and put it on the blog. Comparisons / tests always useful as well. Something I'm not grasping here; how can you get increased dynamic range and better results in grading when the Gamma setting for EOS Pro Log Cinema is set to Cine2 and not to either SLog2 or Slog3 ? This makes it a linear setup and not logarithmic. Pro Log S setting to SLog2 looks fine to me. Haven't had much time at all to go through all the new combinations, or play around with the grades, but the new profiles are really nice! I think I'll be using "Pro Log S" A LOT, and for anything that needs a quick turnaround the new "Pro Color XR" profile is night and day more useable than any other profile (including Pro Color 2 IMHO). This is just my take after using it today on my FS5. Still need to dive into the grade to see how everything handles. Hey guys! I made these footages in order to test the new EOSHD Pro Color 3.0 and I'm loving it, by the way, It was a sunny and really warm day. Could you please create some comparison shots between Version 2.0 and Version 3.0? And thank you for this video! I reckon you can recover some highlights in the sky with the Highlight/Shadow LUT that comes with it by the way! Beautiful skintones on the Pro LOG / WideDR1 shot there. Really shows the cold zombie Sony standard up for what it is... clinical! I like that all of these are subtle enough to just look at and enjoy without being distracted by the styles themselves. The LUTs benefit from tweaking in Lumetri after applying to a shot rather than slapped on, and it seems you did a great job there? Exactly. With the Pro Color examples I made very minor curves/wheels adjustments but NO masks or hue adjustments. On S Log 3 I made specific hue adjustments to her skin tone in Resolve. And thanks. Video examples are coming. Could you please create some comparison shots between Version 2.0 and Version 3.0? I did some yesterday I'll post them soon. You did a great job with the S-LOG 3 shot as well. 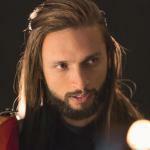 Prefer the hair tone on Pro LOG S / WideDR though! I have an a6500, and based on the particular color gamut settings, I am running into the issue where color depth cant be adjusted...So these procolor profiles cant work for the 6500/6300? @JeremyDulac Select the Deep Warmth profile and they will apply, then you can see which profile you like the most. Sony made changes on the A6300 and A6500 to colour. I find that even if the colour depth changes don't apply to those models under S Gamut, the changes Sony made more than compensate. Also, some of the newer cameras have a Ambient White Balance mode (AWB). I recommend to enable this or dial the settings below (A-B G-M) into the camera white balance adjustment menu. Does this mean that I don't need to do the A-B G-M adjustment when using AWB?